When it comes to oral hygiene, most parents fail to realize the importance of proper dental care for infants and toddlers. That’s why it’s crucial that dental professionals work to educate their patients and encourage them to take a more active role in ensuring their children’s oral health. 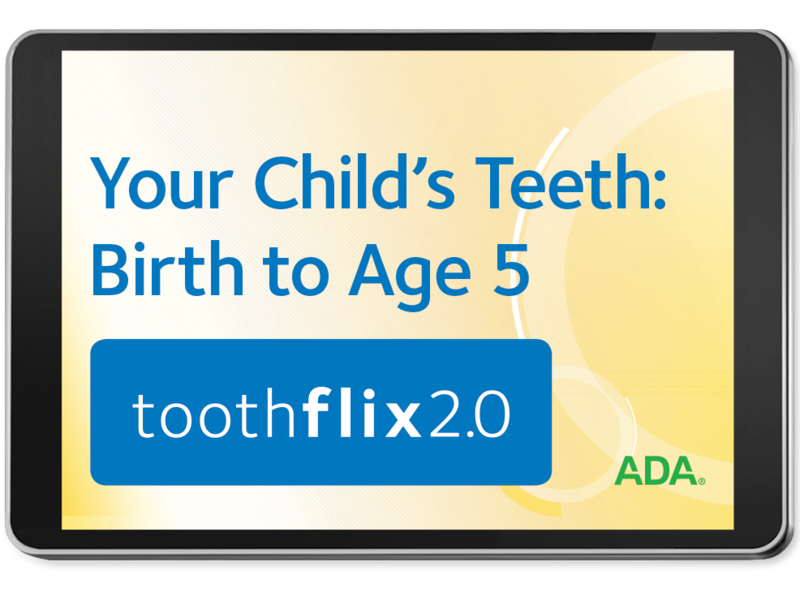 With the Your Child’s Teeth: Birth to Age 5 video from ADA’s updated Toothflix® 2.0 series, you’ll have instant access to a useful, flexible tool for increasing awareness and patient-doctor communication – all you need is a web-enabled device. By introducing this video into your reception areas or treatment rooms, you’ll be doing your part to keep your patients up-to-date on the latest clinical research that adheres to ADA’s rigorous standards for quality. This will not only benefit the oral health of their children, it will help increase case acceptance and informed consent. Purchasing your copy of Your Child’s Teeth: Birth to Age 5 will add it to your online ADA e-Bookshelf portal, allowing you unlimited streaming access with just a few clicks. To learn more about our Toothflix 2.0 series of videos, visit ADA.org/toothflix. Keep your patients educated on the importance of early childhood oral care by ordering your Your Child’s Teeth: Birth to Age 5 video today!